Whether you're looking for traditional wedding classics, jazzy cocktail numbers or personalized song transcriptions, Duo Bohème can fit your needs. The combination of flute and guitar is gorgeous for acoustic settings! Experienced in weddings, parties, church services, and other religious ceremonies, Duo Bohème can set the appropriate mood for any occasion. 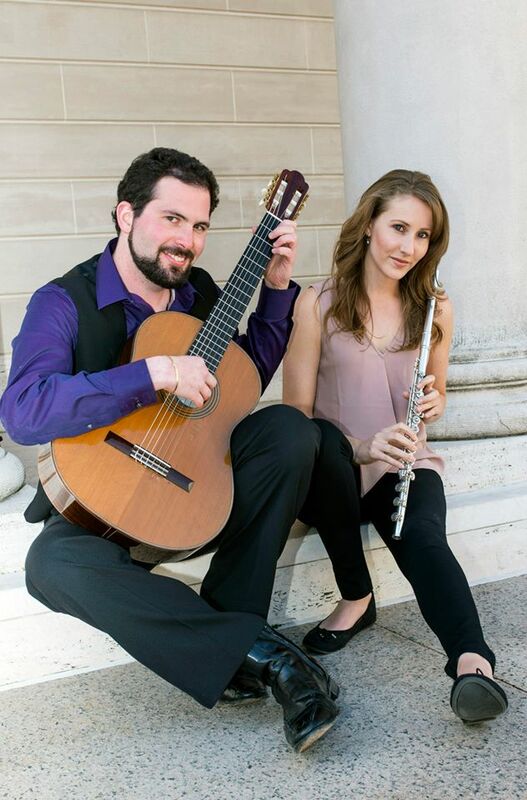 San Francisco-based Duo Bohème is a flute/guitar duo featuring flutist Courtney Wise and guitarist Lyle Sheffler who met while pursuing Masters degrees at the San Francisco Conservatory of Music. Whether you're looking for traditional wedding classics, jazzy cocktail numbers or personalized song transcriptions, Duo Bohme can fit all your needs. The combination of flute and guitar is gorgeous for acoustic settings! We listen to your ideas and requests and we will be happy to guide you with suggestions if you wish. Experienced in weddings, parties, church services, and other religious ceremonies, Duo Bohme can set the appropriate mood for any occasion. 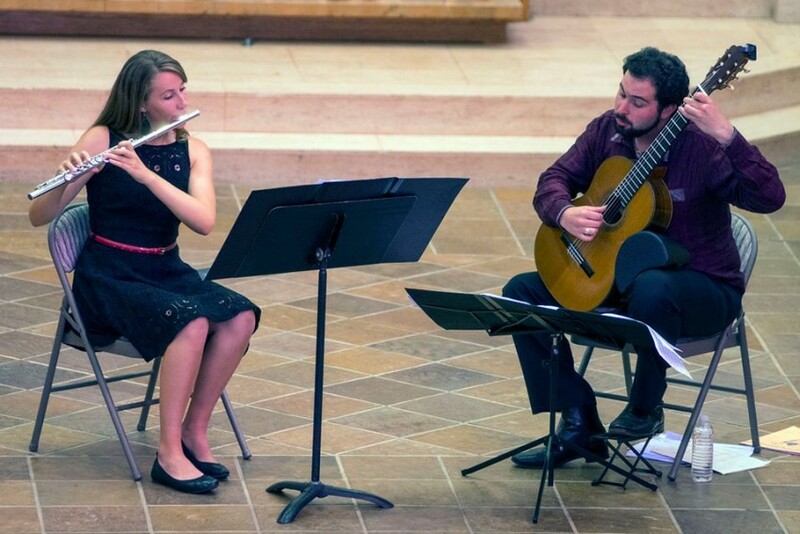 San Francisco-based Duo Bohme is a flute/guitar duo featuring flutist Courtney Wise and guitarist Lyle Sheffler, who met at the San Francisco Conservatory while pursuing masters degrees in 2010. 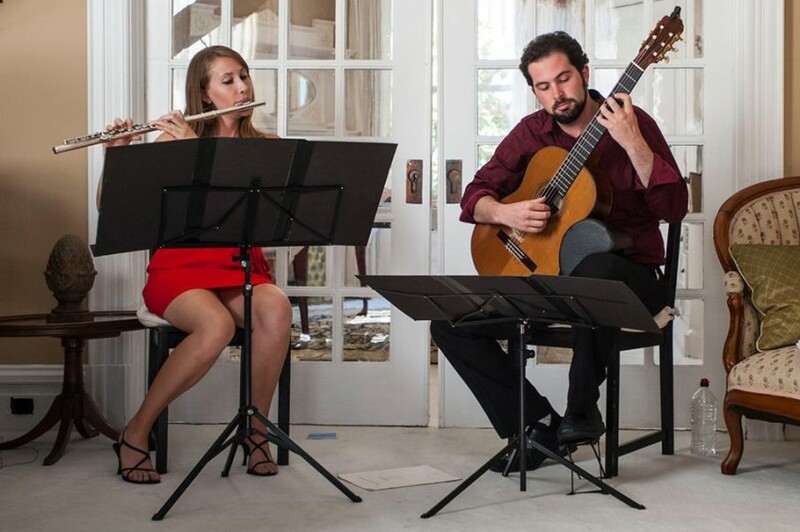 As concert artists, Duo Bohme bring together exciting and romantic music from around the globe- From tangos to ragas to habaneras and everything in between, their exciting and eclectic performances are sure to have something for everyone. In November 2014 they released their first album, “Senza Misura” which consists of a wide variety of captivating repertoire. It leaves behind the classical norm and consists of an extremely diverse array of styles. Set-up is minimal- We require 2 chairs and generally are able to provide any additional equipment ourselves.